The wedding of the century! Every King needs a Queen - and thats exactly what the Black Panther is searching for! 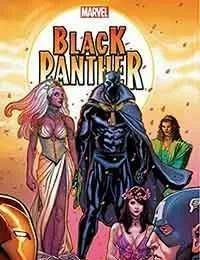 The King of Wakanda embarks on an epic quest to find a wife - the outcome of which will send reverberations throughout the whole Marvel Universe. You dont want to miss out on history in the making, as TChalla puts his cards on the table. His heart - and a seat on the Wakandan throne - is Storms, if shell just accept his hand in marriage. Question is, does she want it? With a Super Hero Civil War ready to explode in the United States and snakes in his own court preparing to make their moves, the road to the altar could not be more complicated.